Have a wonderful weekend my dear friends! Posted by dilipnaidu on June 5, 2016 in Inspirational quotes, Inspirational Wellness & Random and tagged Branch manager, Cute managers, GSD, J.W. Stephens, Pups. Who doesn’t remember the school bell and the pleasant memories associated with it. And why does a school bell sound not so pleasant in the morning whereas the same bell sounds so beautiful at the end of school day closing. The first bell signals a structured regimen of studies and discipline. Whereas the final bell is music to our ears as it heralds freedom fun and play. How nice if we could start our day visualising the sweet sound of the second bell and have a wonderful day? Posted by dilipnaidu on May 27, 2016 in Inspirational quotes, Inspirational Wellness & Random and tagged School Bell. Grown-ups always need logic or reason to believe yet things can still go wrong. But little children live a happy life with wonder in their eyes and without care for the outcomes. Posted by dilipnaidu on April 19, 2016 in Inspirational Wellness & Random and tagged children's faith, childs faith, Faith, logic, power of reason, rain, reason. We all seem to be in a hurry in whatever we do. More so as life today has become fiercely competitive and we want to achieve our goals before anyone else does. But in this frenzy our mind gets clouded with tension and negative thoughts and our ability to think gets severely weakened thereby losing the goal itself. However the quote below makes me wonder whether such wisdom can work in a world of fleeting opportunities where speed is the mantra to winning? Do share your views dear readers on the relevance of Patience not only in today’s fast moving business world but also in our own family relationships. Posted by dilipnaidu on February 5, 2016 in Inspirational Wellness & Random and tagged emotional intelligence, fleeting opportunity, go with the flow, IQ, Lao Tsu, long-term wins, mantra, Patience in leadership, relationship, short-term, Wisdom. It’s Christmas eve and I wish you all my dear blogger friends a beautiful and joyful Christmas and a very Happy New Year 2016. May you and your families enjoy good health and well being in mind body and soul! Lets listen to John Denver’s The Little Drummer Boy! Posted by dilipnaidu on December 24, 2015 in My guest writers! and tagged Happy New Year 2016, John Denver, Little Drummer Boy, Merrty Christmas. Moksh simply means eternal bliss. To experience Moksh we need to take a break and liberate ourselves from our monotonous routine. Freak out to a quiet and serene locale and lose yourself in its stillness and calm. Listen to good music dance and/or do yoga when you feel like it. By being in gratitude meditation will happen on its own. Life is short so lets step out and capture the peace and joy. I’ve just spent a week in a quaint little rustic place near my town. Through the pictures below I am sharing some of my Moksh moments with you. Some of my blogger friends whom I hold in the highest esteem wished I had shared some deeper insight on the word Moksh. Firstly I am thankful to them for feeling free to share their candid views. Well Moksh here is the name of the Retreat place where our group spent a week. Secondly I must admit I am not too much into knowledge based spirituality. My inspiration comes from the wisdom of the masters, my fellow bloggers and from our daily life. For me Moksh is any moment that I can spend in “BLISS”. We can experience Moksh in a beautiful serene place, in the solitude of your home, when listening to music or painting and in the outdoors trekking or playing sports. Posted by dilipnaidu on November 22, 2015 in Inspirational Wellness & Random and tagged Bliss, Calm, Moksh. There was a dense forest on the sides of a mountain. Many wild animals lived in the forest. Once a deer was eating leaves and grass with her two young ones. The young ones wandered happily here and there. The deer followed her fawns. The young ones entered a cave. The deer was frightened as it was a tiger’s cave. There were bones of dead animals all over the cave. Fortunately, the tiger was not inside the cave at the time. So saying, the tiger began to run away from there as fast as possible. The tiger agreed unwillingly to this proposal. The jackal tied their tails in a knot. Now they walked towards the cave together. The tiger heard this and was shocked. He was sure now the jackal had cheated him. So, the tiger decided to escape from the terrible animal standing inside his cave. He started running. He forgot about the jackal. He dragged the jackal over rocks and thorns. In the mad escape the jackal was caught between two rocks. The tiger pulled with all his might. His tail got cut. The jackal was killed in this incident. The tail-less tiger ran away to another part of the forest. Posted by dilipnaidu on November 3, 2015 in Inspirational quotes, Inspirational Wellness & Random and tagged brave, coward, dispel fear, fear, Presence of mind, think calm. 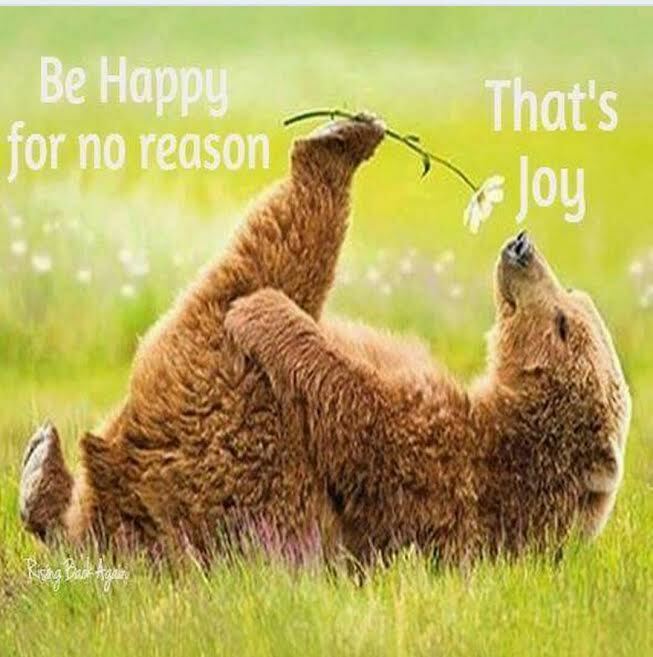 Posted by dilipnaidu on October 25, 2015 in Inspirational quotes, Inspirational Wellness & Random and tagged Be joyful, do nothing, joy.